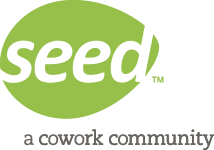 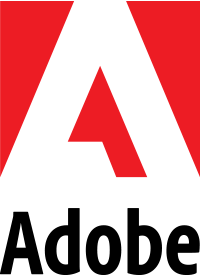 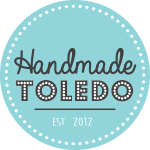 Following the immensely successful You Are Here Toledo Project, AIGA Toledo presented their latest collaborative venture in March of 2016. 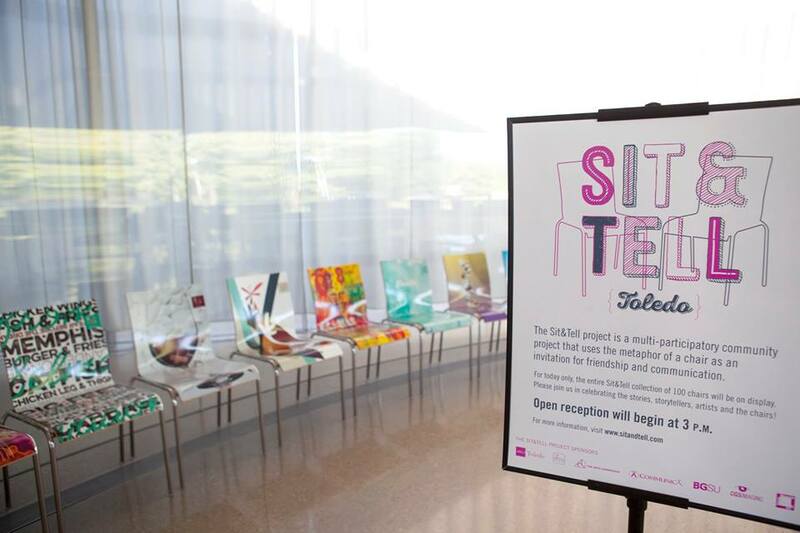 The Sit&Tell Project is a multi-participatory community project that utilizes the metaphor of a chair as an invitation for friendship and communication. 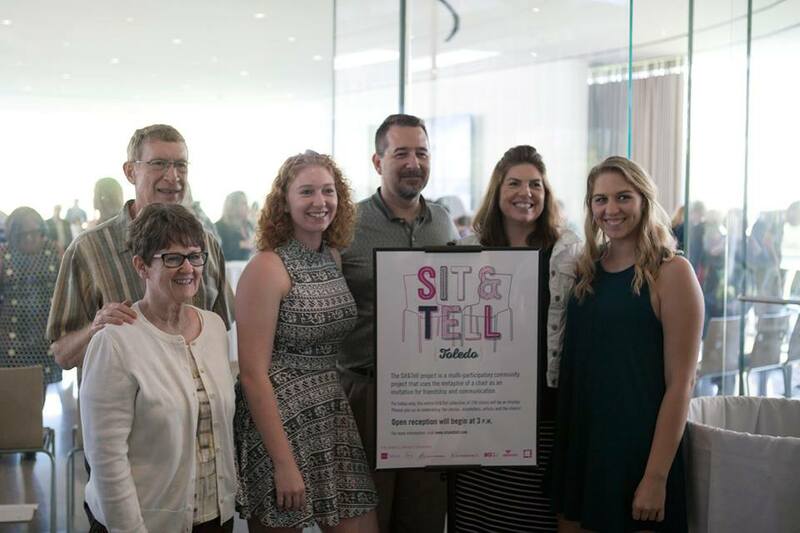 The project collected 100 stories as told by Toledo citizens as storytellers on World Storytelling Day, March 20, 2016 under the global theme of Strong Women. 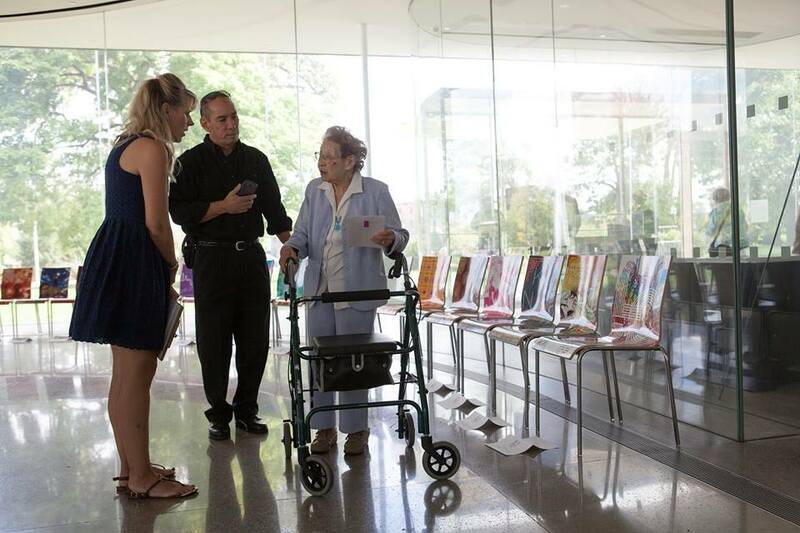 These stories were shared by many who benefited from strong women in their lives. 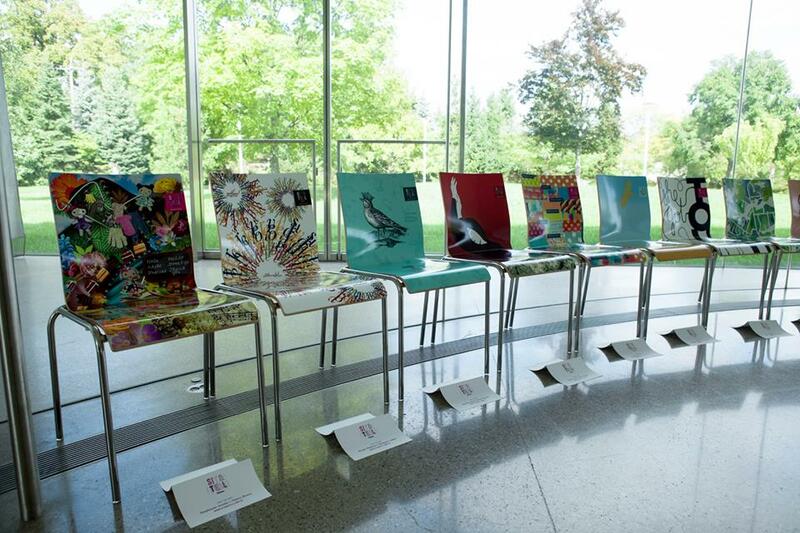 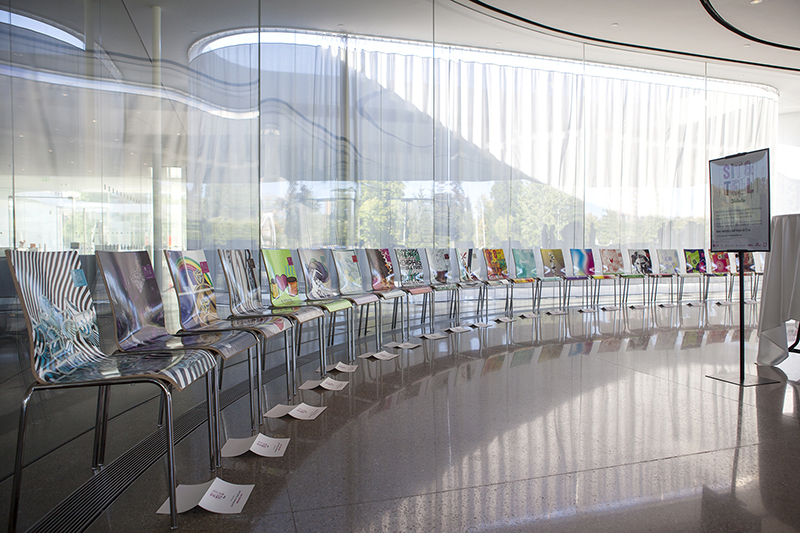 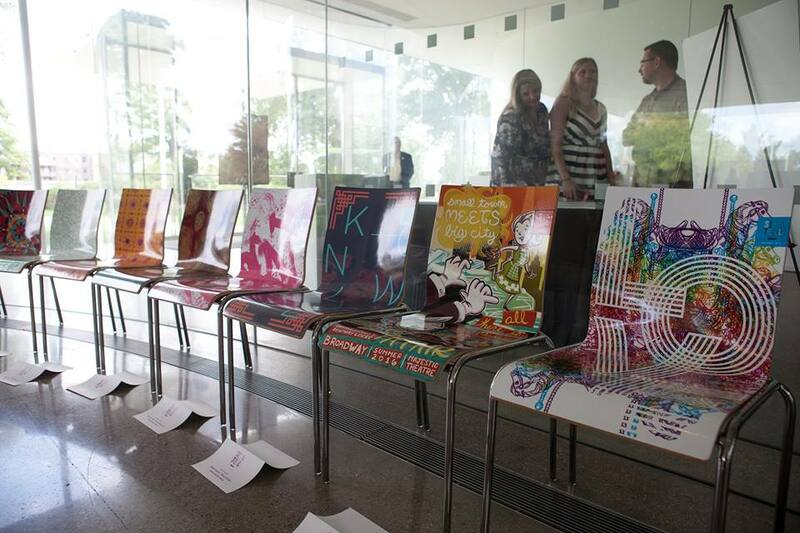 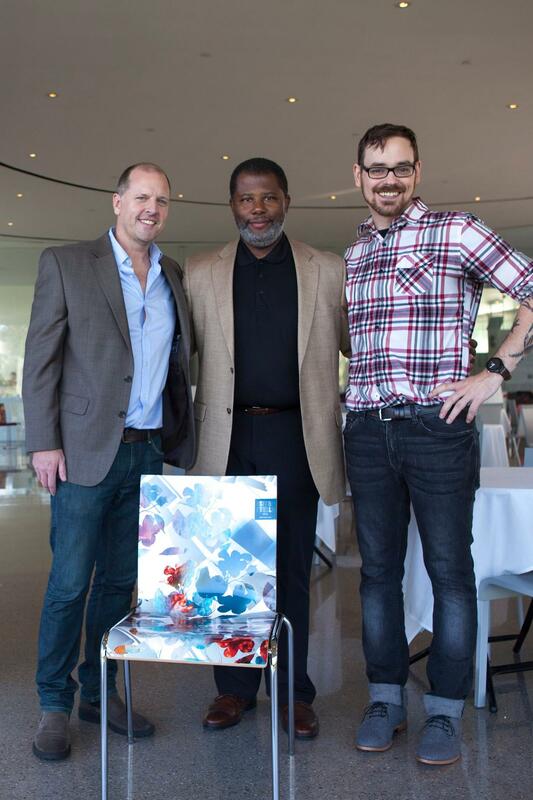 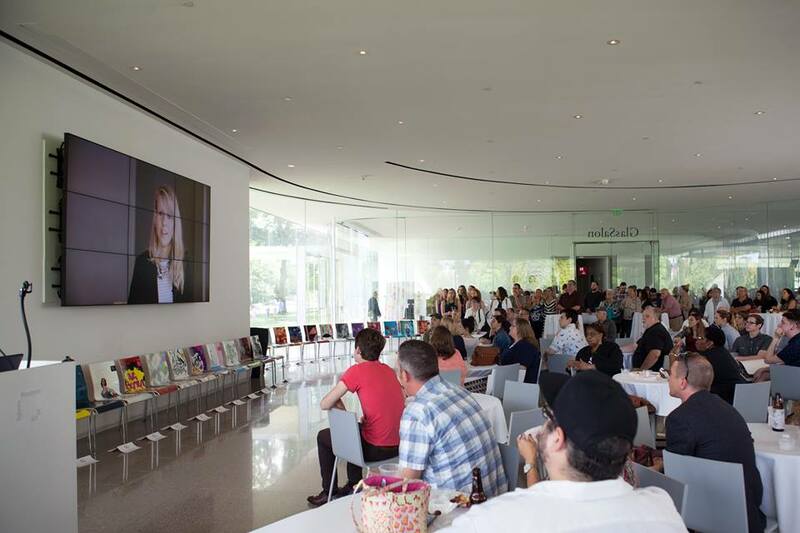 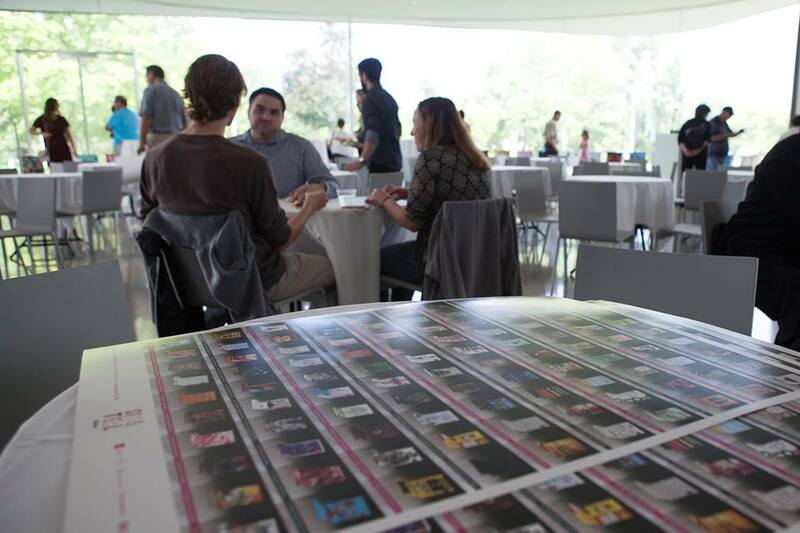 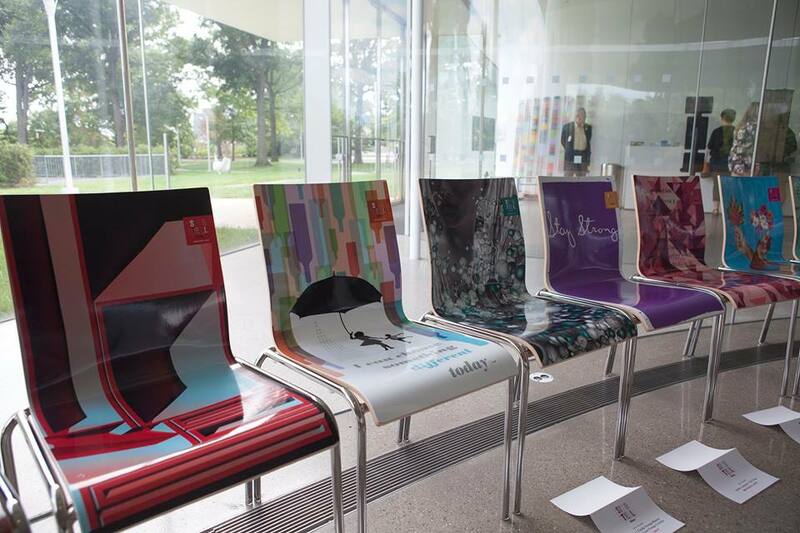 After the storytelling event, the recorded stories were given to a juried pool of designers and artists to visualize artwork for 100 chairs. 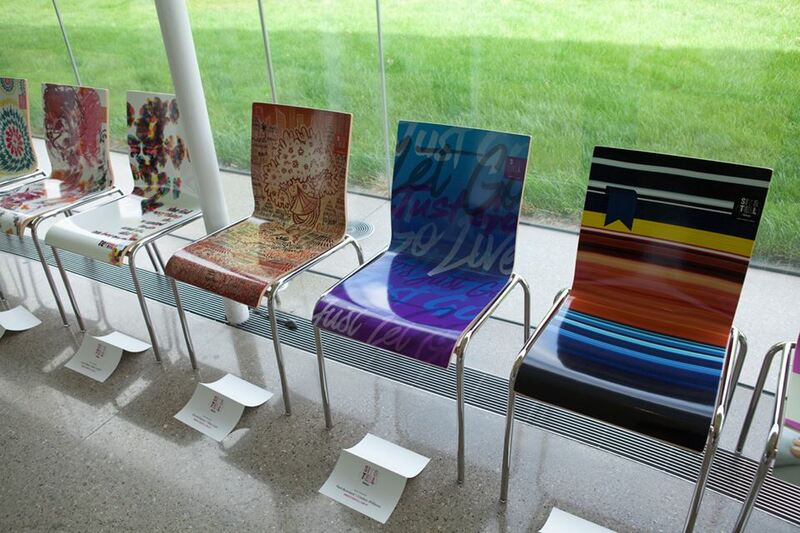 Each chair includes a custom URL to access the audio, the art and artist statement. 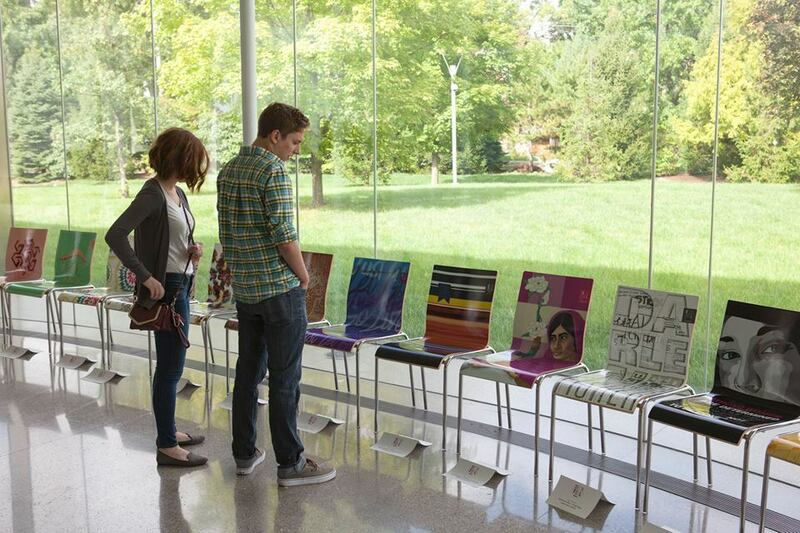 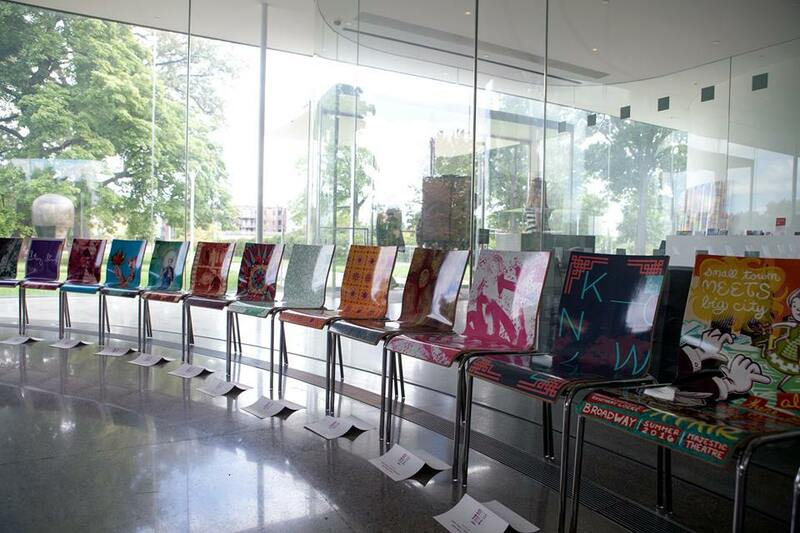 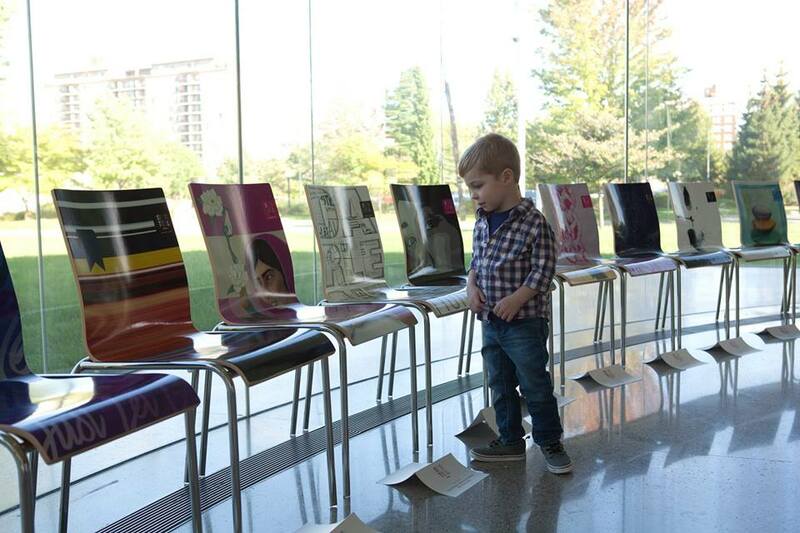 The chairs went on a rolling exhibition of 10 chairs at a time over the summer of 2016 and ending with a closing exhibition of all 100 chairs at the Toledo Museum of Art. 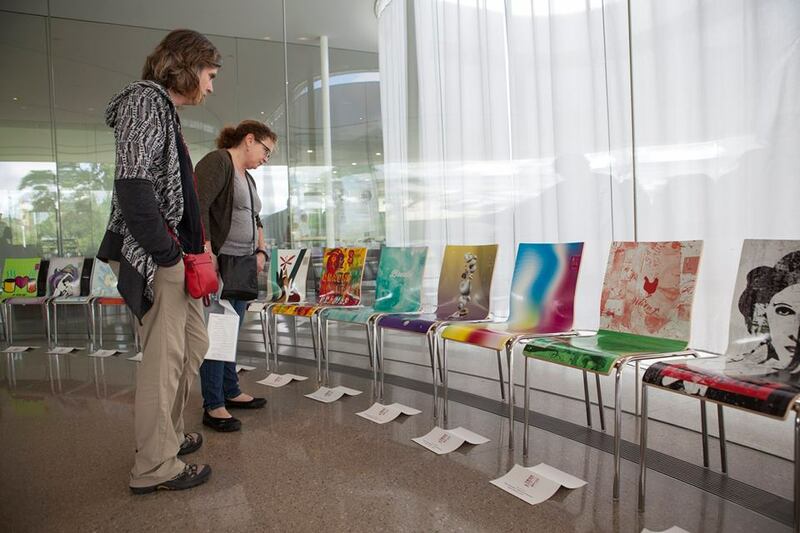 In November of 2016, the chairs were released for an online auction where 100% of the proceeds of the chairs go back to neighborhood communities for art classes for young children. 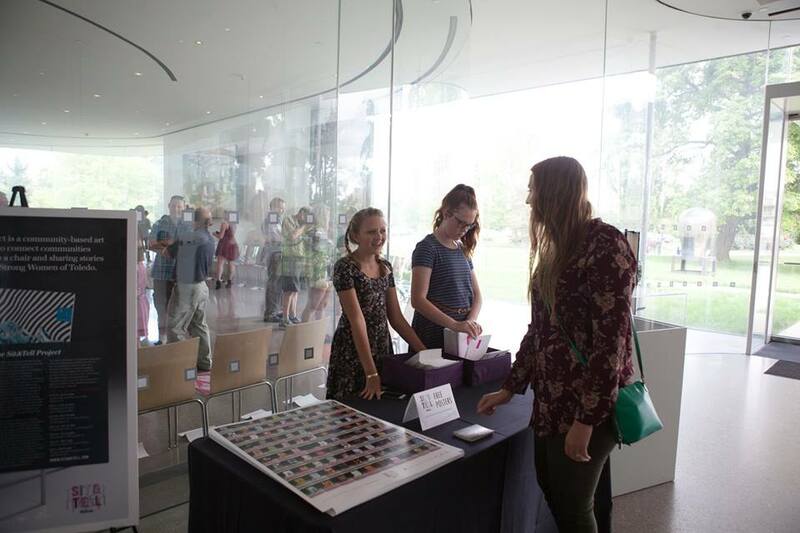 On March 10, 2017, a check for $7,500 was donated to The Arts Commission to fund such programs.